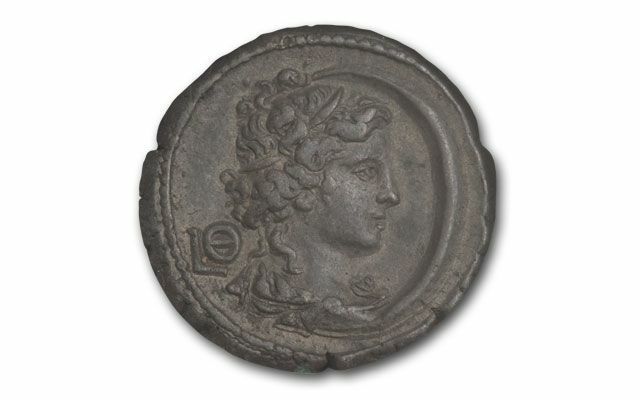 This double headed tetradrachm of Severus Alexander features a bust of the emperor on one side and a bust of the goddess Selene on the other. 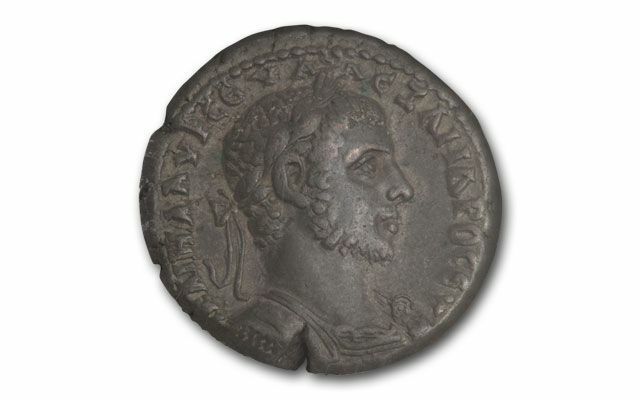 It was minted in Alexandria Egypt in 222 - 235 AD. What makes this coin so rare is the use of the actual number 9 in the date - it's that barred circle to the left of the goddess. The Romans were hugely superstitious and the number 9 was the unluckiest of them all. They almost never used the number; they almost always spelled it out! That makes this example extremely rare with less than five known. 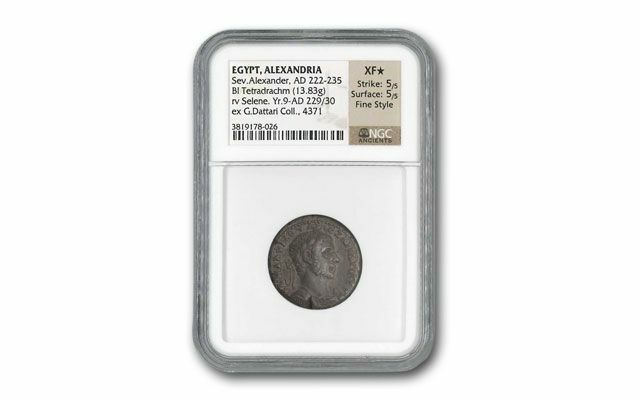 It grades Extremely Fine (XF) Star by Numismatic Guaranty Corporation (NGC) with a 5/5 rating for both strike and surface. 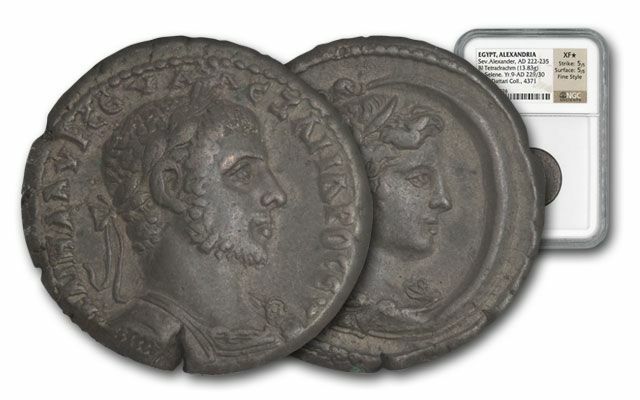 This coin has resided in two major collections. Now it's your turn!